Do Grapes Have Vitamin K? 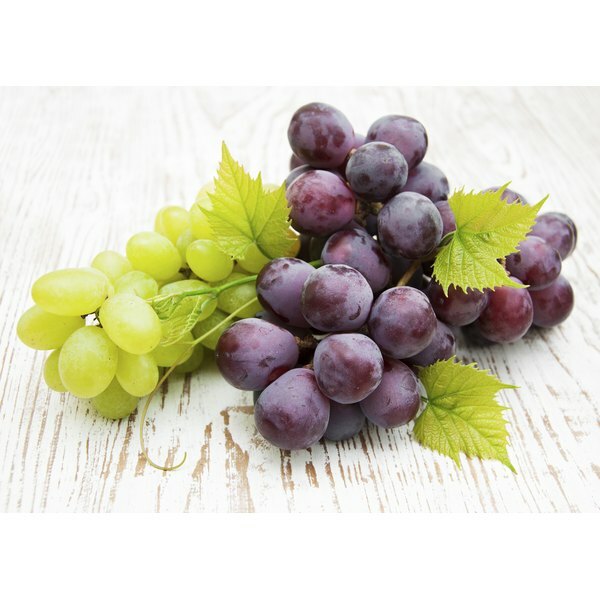 Grapes come in different colors and sizes and also come with seeds or without. Grapes have plenty of protective properties, mostly found in the skin. Resveratrol, an antioxidant found in grapes, has been shown to lower blood pressure, lower bad cholesterol levels and reduce your risk for heart disease. According to Penn State Extension, a cup of grapes has 60 calories and half a gram of fat. Most of the calories from grapes come from carbohydrates at 16 grams per cup, with 1 gram from fiber. Grapes are also a good source of potassium and vitamin C, and an excellent source of manganese. Alyssa Clement holds Bachelor's degrees in psychology and nutrition. She has completed clinical nutrition internships in long-term care and acute care along with food service and community nutrition internships. Her research includes nutrition supplements, weight loss, exercise and sports nutrition.